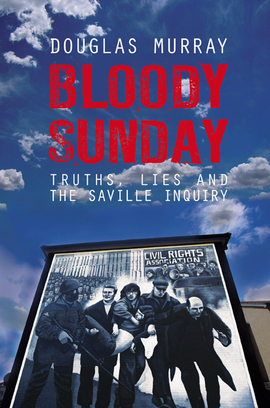 Bloody Sunday was the worst massacre of British citizens by British troops since Peterloo in 1819 – a potent distillation of the rage and anguish of a bitter conflict that spanned decades and claimed three and a half thousand lives. In 2002, when the Saville Inquiry transferred from Derry to London, author Douglas Murray began attending daily to hear at first hand the testimony of the soldiers and members of the IRA who had been there that dreadful day. What he discovered was a devastating story of ordinary people thrown into the most terrible of situations, a story not only more straightforward than the British army would like to admit, but more complex than the IRA has always claimed. This book is not solely about a shocking event or a process of justice; it is about the efforts of a group of people to arrive at truth and a country’s attempt – three decades on – at painful and perhaps incomplete reconciliation. Superb analysis of the Saville Inquiry. A riveting account of the Saville Inquiry. Compelling account of the Saville Inquiry. This is a book that deserves a place on any military minded bookshelf… very informative, very accessible and well written… is exceedingly well written, comprehensive and informative.